I can’t remember when I last went to a baseball game. I love sports and always enjoyed a day at the ballpark, except for the overpriced concessions. 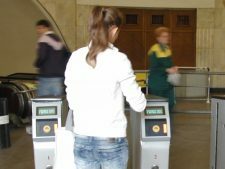 As you would walk up to the ticket taker at the turnstile there was usually someone there with one of those handheld clickers that they used to count how many people came through the gates. I always thought it was redundant but maybe it was their backup system. But their desire behind was to get as accurate a count as possible for their attendance records. The numbers are what mattered. The seeker-driven church is no different.